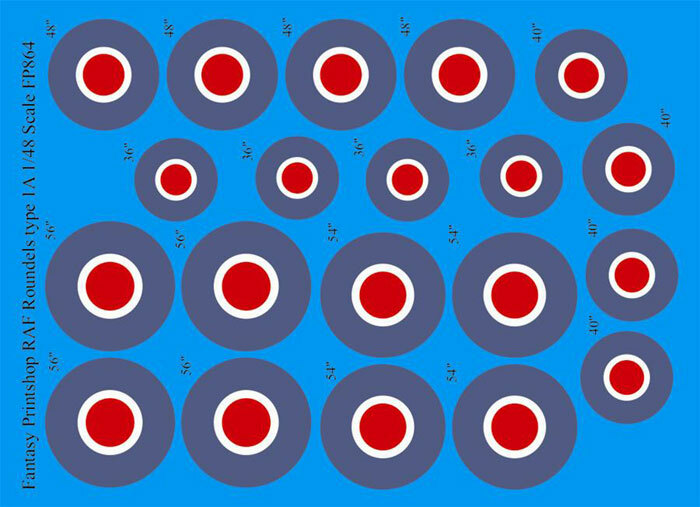 Conclusion: Very useful markings for RAF and Commonwealth modellers. In addition to printing high-quality markings for other decal companies, Fantasy Printshop also produces their own decals. These have tended to be national markings, serials and codes, and generic decals. 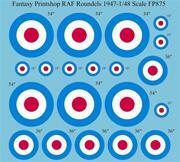 Fantasy Printshop has now significantly expanded their range with 12 sets of RAF roundels and fin flashes that will cover the pre-war period, WWII, post-war / Cold War and modern period. Each set comprises a single decal sheet. These are perfectly printed and in good register. The size of the markings are clearly indicated on the decal sheet itself. I have found that it is very handy to have high quality spare national markings to supplement or replace poor quality kit decals, or to use as custom markings. 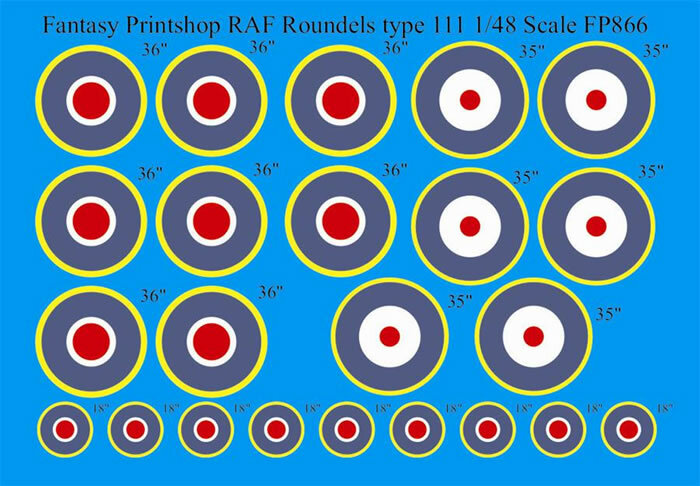 The range of RAF markings available here should ensure that any high-visibility marked aircraft from the 1920s until the present day may be depicted. These are very welcome decals from Fantasy Printshop.